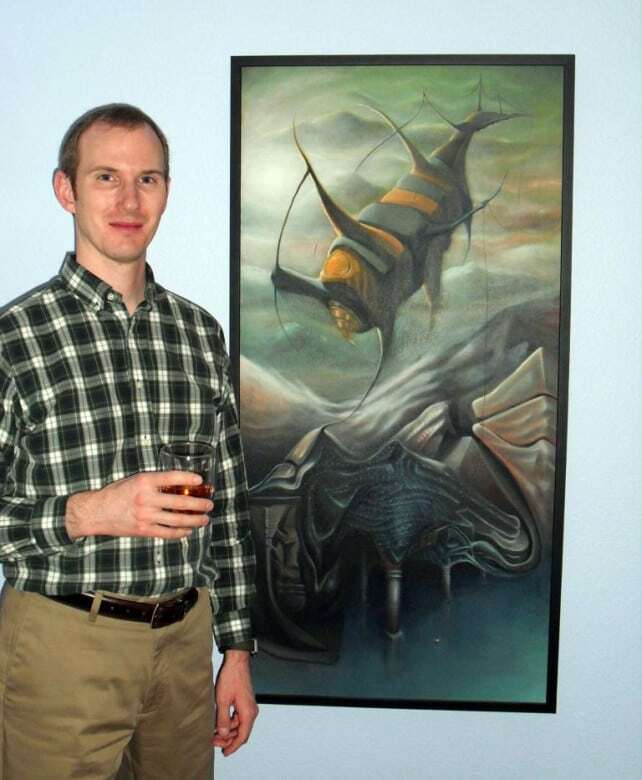 A. Klostermeyer standing next to the oil painting, "Atmospheric Leviathan Fishing for Stillness". Klostermeyer is a tenured employee of the city of Denver in Colorado state and a Mason. His membership as a Colorado Mason is in part an expression of his degree in theater arts, and an inclination toward fraternity. Klostermeyer possesses an interest in the esoteric, tempered by a patient and practical mind. In addition to his support of fine arts, he has been a keen advocate for better environmental practices for decades. Click on “Atmospheric Leviathan Fishing for Stillness” for more info on this painting. 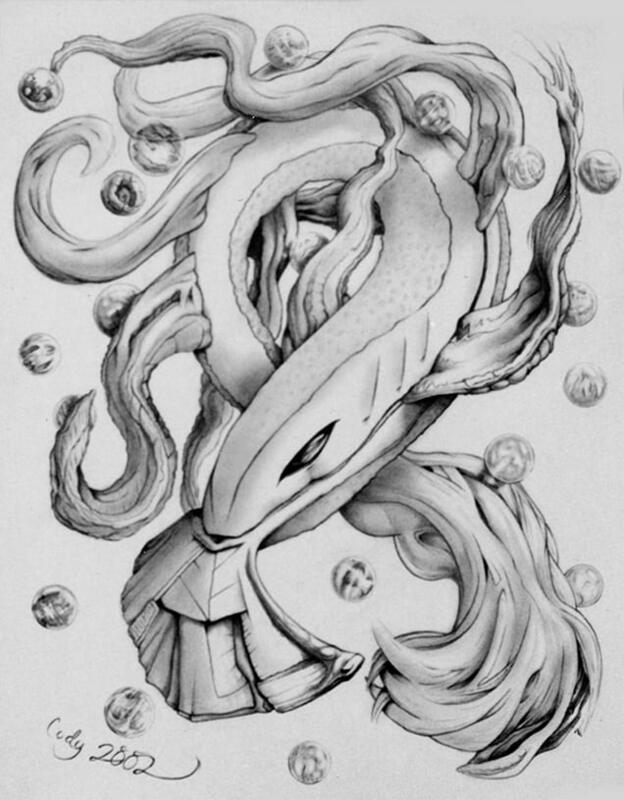 Click on “Dreamgazer” for more info on this drawing.